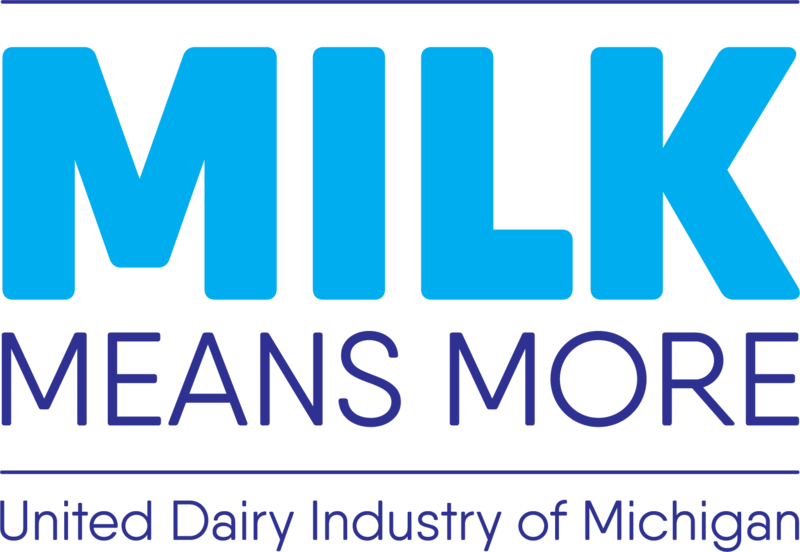 Seeing is believing, and on a warm day in May more than 30 second grade students from Ronald Brown Academy in Detroit got the chance to see firsthand where their milk comes from and how a Michigan dairy farm family cares for their cows. 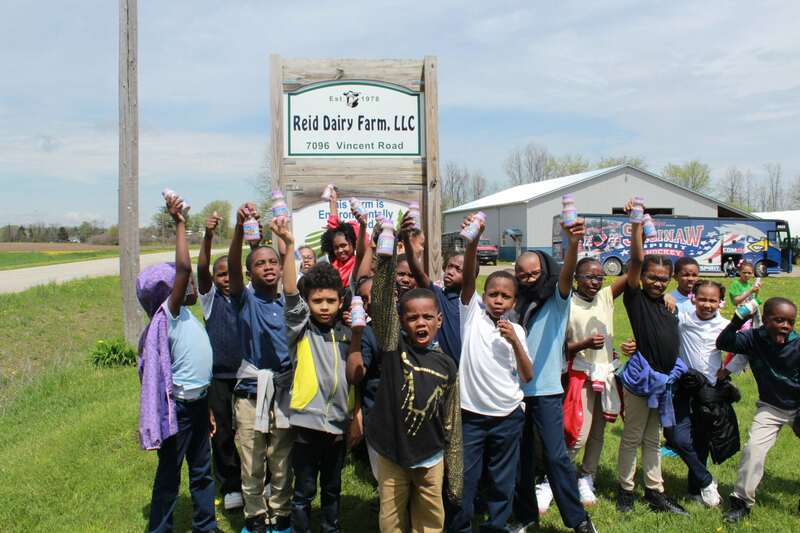 The students visited the Reid Dairy Farm in Jeddo, MI, about 75 miles northeast of Detroit as part of a field trip organized by the Detroit Public Schools Community District’s (DPSCD) Farm-to-School program and Milk Means More. The goal was to bring to life classroom lessons about how food is grown and made, as well see a way of life different from their own. “I wanted the students to experience a rural community up close because they maybe haven’t had a chance to experience that before,” said teacher Ruby Karim. After about an hour’s bus ride to the farm, the students met with the Reid family: Jim and Pam, their son Jeff and three of their grandchildren. The family works together on the farm to care for their cows. The Reid grandchildren started the tour by demonstrating how to feed the calves. A few of the second grade students had a chance to try it out themselves. The next stop was the milking parlor where one of the day’s lessons was about the food safety steps involved in milking cows. “We are responsible for making a food you kids drink every day, so we have to make sure everything is clean,” said Jim. He explained how each cow is cleaned, milked, and cleaned again before returning to their barn to eat and rest. 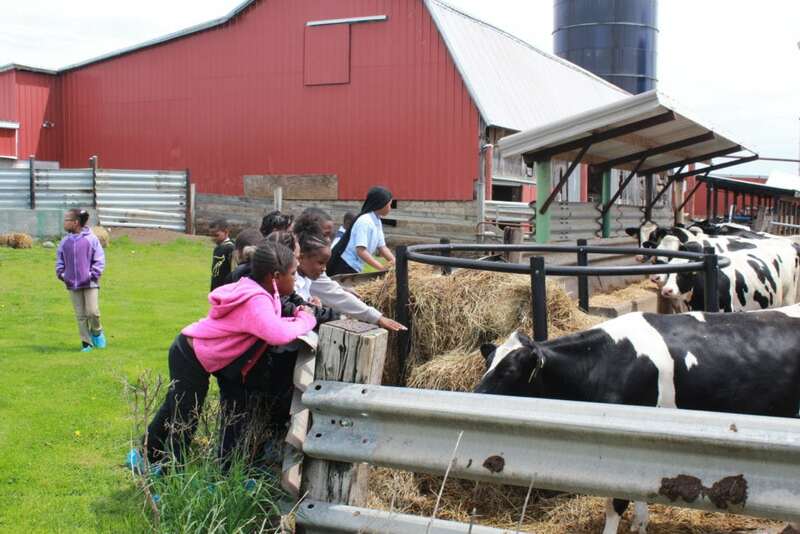 The students walked through the barn where the cows spend most of their day and learned about the comfy accommodations there, including sand beds, frequent cleanings and a constant food and water supply. Other members of the tour included farmers and volunteers from Drew Farms, a 2.5 acre farm in Detroit that grows and provides fruits and vegetables to the DPSCD cafeterias through the Farm-to-School program, which delivers fresh fruits and/or vegetables to each school to increase student exposure to fresh foods. Carl Williams, executive director of the office of school nutrition for DPSCD, attended the tour to show support for the Farm-to-School effort. “This trip is important because I believe in exposing our children to a wide variety of experiences,” said Williams. 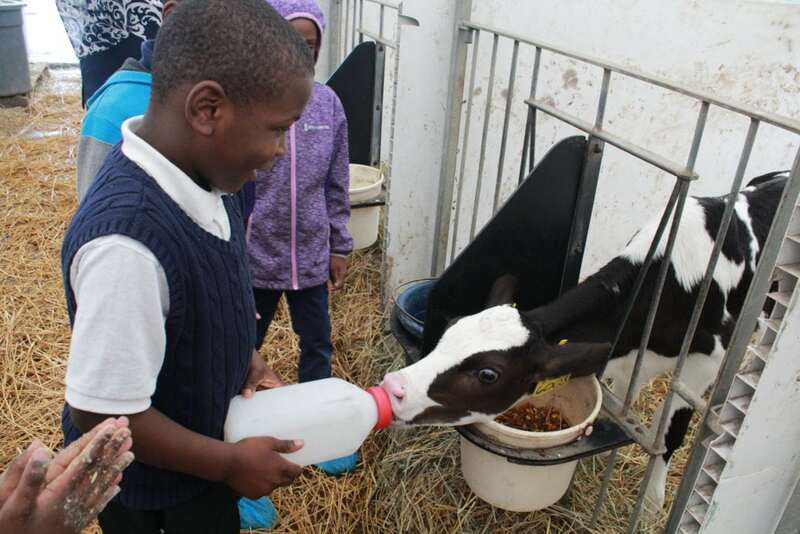 Based on the students’ excitement, smiles and bonding with the cows, this dairy farm tour certainly seemed like an experience they won’t soon forget.